As functional as it is beautiful, the True Fabrications banded cocktail shaker is perfect for everything from formal gatherings to a night in with friends or that special someone. 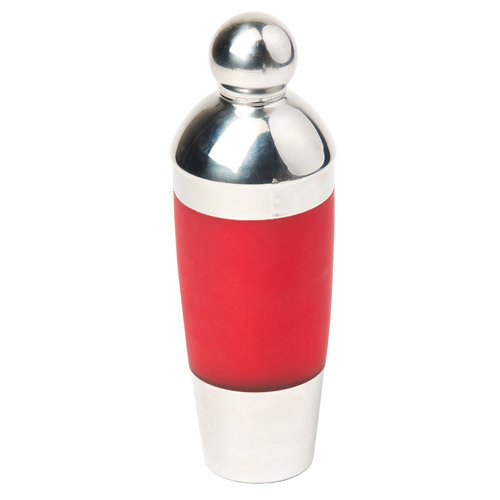 With a polished stainless steel construction, this sleek cocktail shaker features modern design with red and white soft grip bands. It is food safe and rust proof, and includes a strainer, and a cap. Large enough for a party, this shaker would make an ideal gift for friends, family, or coworkers.